ARKANSAS: Dem Candidate Left Off County Ballot - Joe.My.God. 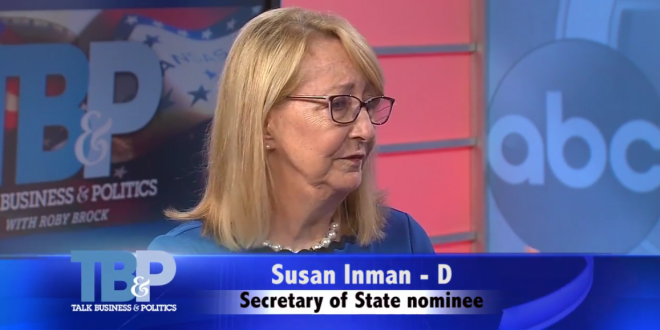 An official with the Garland County Election Commission said three of the county’s four early voting sites were closed at times Monday because ballots did not include Susan Inman, the Democrat running for secretary of state. The sites have since re-opened. Inman is running against Republican John Thurston, who is currently the state’s land commissioner. The current secretary of state, Republican Mark Martin, is barred by term limits from seeking re-election. The secretary of state is generally in charge of ballots, with county election officials reporting to that person. Earlier this morning I was told that my name was not on the ballot in Garland County. #EarlyVoting has been suspended until this can be resolved.